Street artists can express their own agenda through their work, or can use their abilities to further causes that they feel are important and need to be shown to the public in a new light. Previously environmental groups and animal activists including the Melbourne Zoo have used the talents of local street artists to give a new voice to environmental issues. With the help of local artists the subject matter can be injected into the urban landscape as a promotional tool or capture the attention of a different audience. This representation of an Australian native animal, the Platypus, juxtaposed in a service alley filled with other graffiti and commercial rubbish bins, drives a confronting message about the endangerment of this species and also about pollution of the local and national waterways. The position of this art is quite intrinsic to its power. At certain times of day when the sun reflects through the glass of the adjacent restaurant the light bounces off the blue and aqua hues and provides a shimmering effect that resembles the ripples of a river or ocean. Although probably not an intention of the artist, this seemingly coincidental effect really elevates the work beyond the paint. 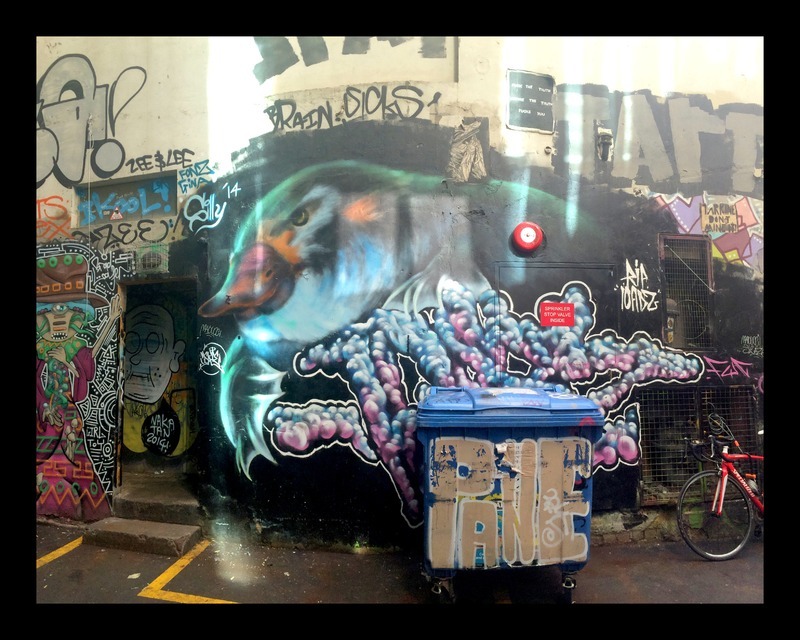 “Platypus, Duckboard Place,” Street Art deTours, accessed April 20, 2019, http://streetartdetours.com/document/1068.